Hiking is not only great physical exercise, but it's also great for reducing stress and improving your mental health! If you’ve spent time in the great outdoors, you know the feelings of wonder and beauty it inspires. However, if you’re just getting into the idea of hiking, the preparation might feel overwhelming. 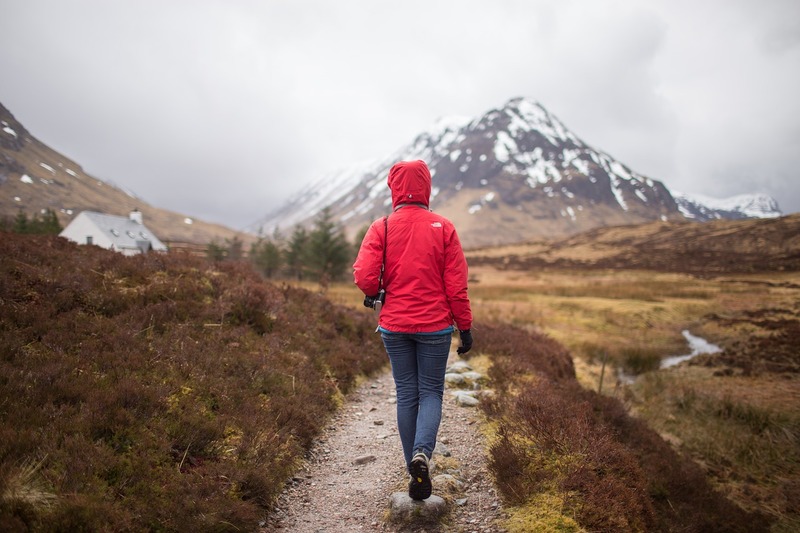 But by familiarizing yourself with some hiking basics before hitting the trails, you can help ensure both your own safety and the wellbeing of the environment around you. If you give hiking a shot, you will have experiences unlike any you can get from city life! It is vitally important to keep hydrated when on any hike. Feeling tired and worn out often comes from insufficient hydration. Make sure you bring plenty of water with you and take sips frequently on your trip. However, only drinking water during the hike itself isn’t enough. During the days before you even start a hike, increase the amount of water that you drink, even if you don’t feel thirsty. This will prepare your body for the excess stress during the hike and help you make it through easier. You can also add an electrolyte supplement to your water before and during the hike to improve hydration. Water Container – Even if you bring nothing else on a hike, you NEED a source of water. For most hikes, 2-3 liters is plenty. Consider bringing more if you’re hiking in a hot, dry environment or in a high elevation. Simple water bottles work fine, but if you want an easy way to keep hiking without stopping to drink, consider purchasing a good water bladder. Snacks – If you will be out hiking for longer than an hour or two, you should remember to bring some healthy snacks along. Bring some fruit, energy bars, or the quintessential hiking snack: trail mix! Shoes and Socks – For your first few hikes, there’s no need to go out and buy expensive boots. On easier trails, your regular sneakers should be just fine. Only after you decide to start hiking more advanced trails should you invest in high-quality, lightweight hiking boots with good treads. More important than your choice of shoes is what kind of socks you wear. Cotton socks lead to more blisters, which will ruin any hike. Try wool hiking socks instead. You can find some decent hiking socks at any outdoor gear supply store. It’s worth it to buy good hiking socks even for a first hike. Even if you don’t end up hiking ever again, they can be used whenever you need to walk around in your daily life! Sun Protection – Make sure you are prepared for sun exposure on your hike. Bring a wide-brimmed hat, sunglasses, and sunscreen. Keep in mind that you can get sunburnt even on a cold, cloudy day. Backpack – You’ll need some sort of pack to carry around your supplies. Backpacks that distribute the weight over both your shoulders are best for this task. You don’t want to hurt yourself by unevenly distributing the weight onto one side. Even better is a hiking backpack that straps across the chest. Any pack you have lying around the house should work, but if you’re looking into getting a new one, consider one with a water bottle holder on the side. If you’re going on a very short hike will little gear, you can use pretty much any pack. Communication Device – Many hiking locations have poor cellphone reception. Keep this in mind when you head into the wild. If you become lost or have an accident, it’s important to be able to call for help. If you are going to a remote hiking location with poor reception, you might want to invest in some sort of GPS messenger unit, like these. Miscellaneous Items – Some other items you might want to bring on your hike include bug spray, Band-Aids, and a map. Many hiking trails will have a map available online or on-location. For your first hiking experiences, it’s best to choose beginner trails. These will be relatively short, flat, smooth, and easy-to-navigate. These days, it’s incredibly easy to find a perfect trail online. They are often sorted by location and difficulty categories. Some good resources include the AllTrail phone app and The Outbound website. Save a trail map to your (fully-charged) phone or print one out to be safe. If you are unsure of how to read the contours on a topographic map, check out this great tutorial video. It goes over the basics to help you determine where hills and valleys are located on a map. Give animals space – Don’t try to approach any wild animals, no matter how cute. Give other hikers space – Many people are on the trail for some peace and quiet. Don’t make too much noise – Yelling and other loud noises affect the ecosystem around you and will annoy nearby people and critters. Minimize your impact – Don’t leave trash behind, and try to disturb your surroundings as little as possible. Take photos carefully – We’ve all seen the selfie disasters online. Don’t be the next person in the news for accidentally destroying an iconic national monument or natural wonder because you wanted a great social media post. You can hike no matter what shape you are in. The only things keeping you from the trails are the mental limitations you’re putting on yourself. You just need to find the right trails and stop worrying about the distance you cover. How far you hike does not matter! Just going outside and walking for a short time is good for you and gives you a starting point to improve upon. There are many easy trails out there that you can hike on in any condition, even with many kinds of physical disability. Plenty of paths are well-paved and easily accessible from the parking lot. As you continue, adjust your hike length and difficulty to whatever you feel is best for you at that time. Don’t push yourself so hard that you don’t enjoy the experience! As you go on more and more hiking trips, might find it useful to log your hikes so you can see your progress. Keep track of where you hike, how far you go, how many breaks you take, how long it takes you, and how you felt along the way. This will let you track your progress and set new goals for yourself. Hiking is such a wonderful experience. Not only is it fun, but it also reduces stress and helps you get into shape! Look online to find trails near you. There are plenty of hiking trails all over the place, of all kinds of lengths and difficulties. Grab some comfortable shoes and plenty of water and get hiking!